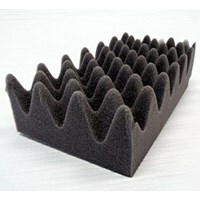 Egg foam mattress is a type of foam which serves as ruangan.Dan acoustic soundproofing. 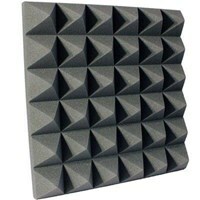 As in: music studio space, a karaoke room, a recording studio, conference hall, meetting room, the noise of the engine generator set.Some applications of foam egg among others:1. 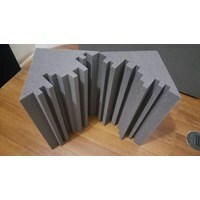 For the music studioegg foam is very suitable for damping the music studio where the egg foam has a surface area of 2 fold flat surface so that the absorption of sound is very stable and produces a nice sound wave canal.2. To gasket tool boxegg foam is suitable also for the packing tool box in order to get an attractive display box tool and can increase the resale value high3. 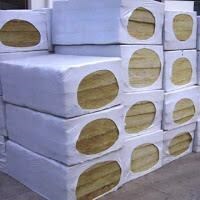 Foam egg is also very suitable for the generator room silencer.The egg foams have good sound damping power so that when the generator room using foam egg so that the sound generator does not come out. Quiet Glue ProQuiet Glue Pro is a kind of glue silencers (Visco Elastic Damping Compound). Quiet Glue Pro can be applied between two layers of rigid (Between 2 layers of gypsum, multiplex, GRC, etc. ).Quiet Glue Pro is the answer to your noise problem. Working methods of Quiet Glue Pro is utilizing the energy change. 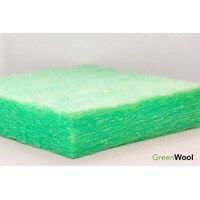 From the sound energy into heat energy in small amounts where you can not hear the heat energy.Advantages Quiet Glue Pro# Easy to Use# Suitable Used To multiplex Nor Gypsum Partition Wall# Does not require Special Exercises# Low levels of VOC, water-based, Non Deposition# Tested in Lab Tests By Number D3273 and ASTM E90Specifications QuietGlue ProModel: QuietGlue ProColor: Yellow - OrangeDensity Material Content: 70wt%Viscosity: 400000-800000 centipoiseDrying Time: 24-48 HoursReach Power: 16 sqft / tube; 73 sqft / gallonStorage Temperature: 40 ° F - 100 ° F (Do Not Freeze)Working Time: 15 minutesSize: 28Oz Tube (Indonesia)Applications QuietGlue Pro# Partition Wall, Floor and Ceiling# Box Speaker# To Door Insulation Noise Control# Noise Control For Music Studio, Hospital, Ulster, Hotels, Karaoke Room, Space Engineering, Housing, etc. 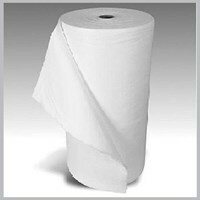 Acourete FIBERSOUND REDUCER POROUS MATERIALSBENEFITVarious densities ranging from 300, 600, 800and 1000Greater density of silencerstypically result in more absorptionniceFire SafetyAllergy freeNon ToxicdurableAPPLICATIONReducing early reection (early reflections),echo (repeated reflection) and reverberation(echo) at:HallHome TheaterkaraokestudioMusic LoungeofficeschoolhotelHospitaletc.To reduce noise on:buildinghouseplantbuildingplaces of WorshipschoolTransportCars, BusestrainshipaircraftMachinery and Electronic EquipmentplantofficeHousing and ApartmentsHospitalDESCRIPTIONAcourete Fiber is sound-dampening materialswith densities ranging from 300, 600,800 and 1000. 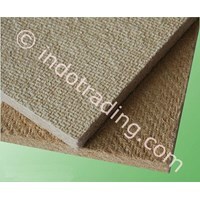 Acourete Fiber made fromwoven fibers of poly-propilene smooth.Acourete Fiber has a sound absorption power ofequal to or better than the materialsAnother damper thickness 10 times thicker.White with a width of 1.5m and a thicknessranging from 4mm.Acourete Fiber has been tested in the laboratoryinternationally and have gained sertikatAllergy-free, free of toxic materials, safeagainst the risk of fire and do not absorb moisture.